When it comes to displaying books, there are lots of options. The choices you make will largely depend on your personal style and how much space you have. 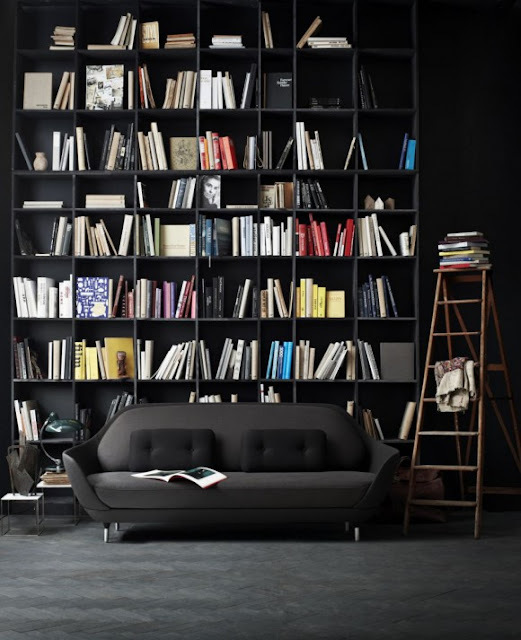 If you're a lover of books and have a large collection, you may choose to cover a whole wall with shelves. If you prefer a minimal look or dislike clutter then you may choose to display a few favourite books alongside personal objects. 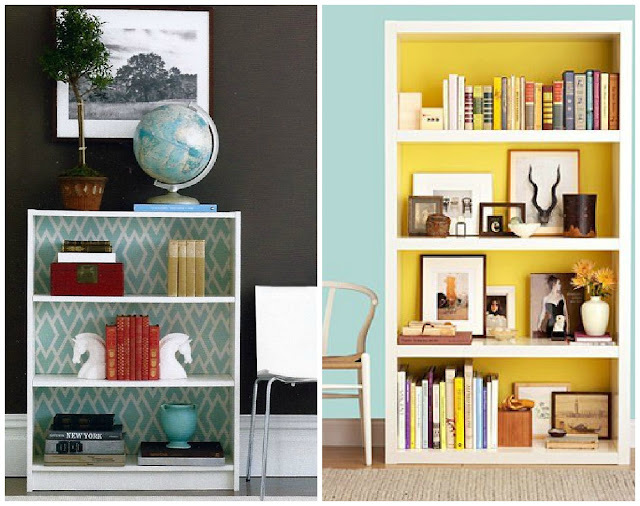 Here are some ideas for how to style your bookshelves in different areas of the home. 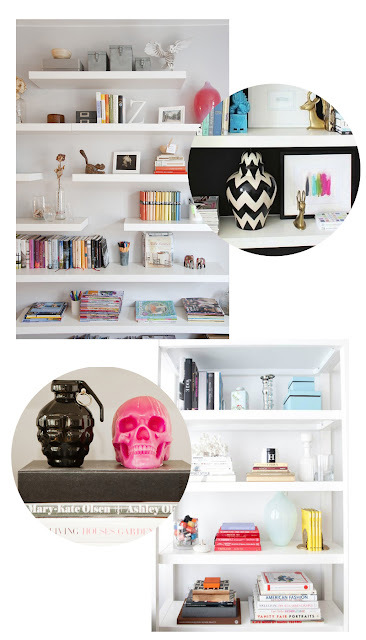 There are a variety of shelves and even a couple of DIY options! 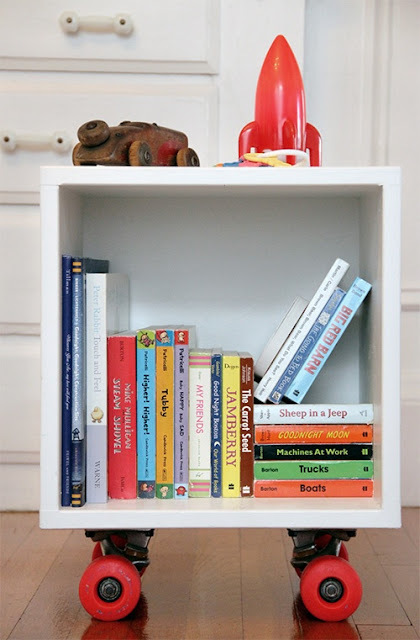 Display books both vertically and horizontally and add your favourite accessories. Stick to one colour. 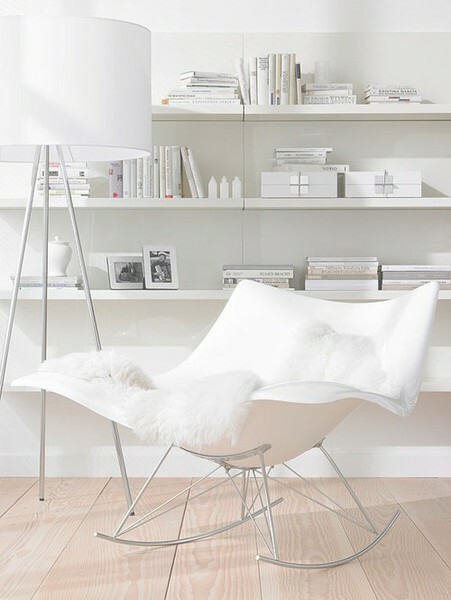 Beautiful Scandi-styling here with white on white and pale wood flooring. Make an impact with black and balance books by grouping in colours. 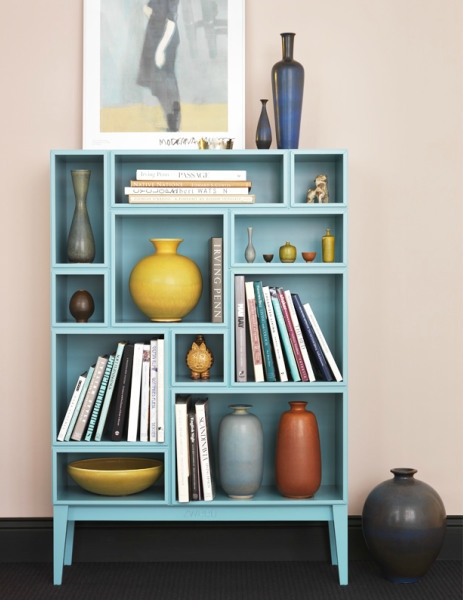 I love this bookcase and the mix of colours. 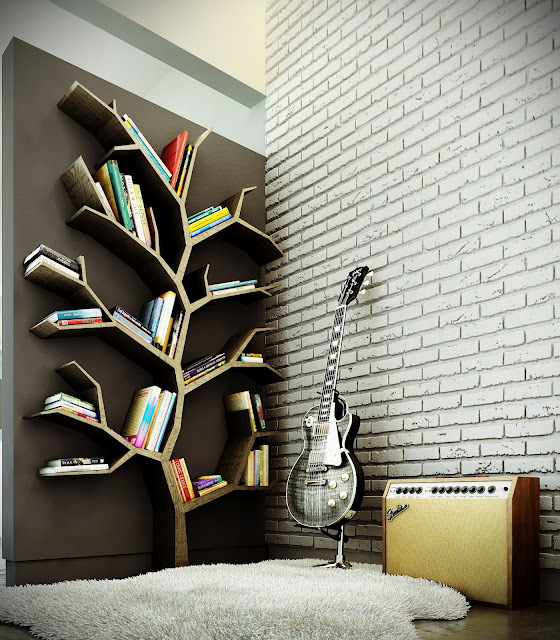 Beautifully styled, the different sized shelves allow for books and accessories in varying sizes. 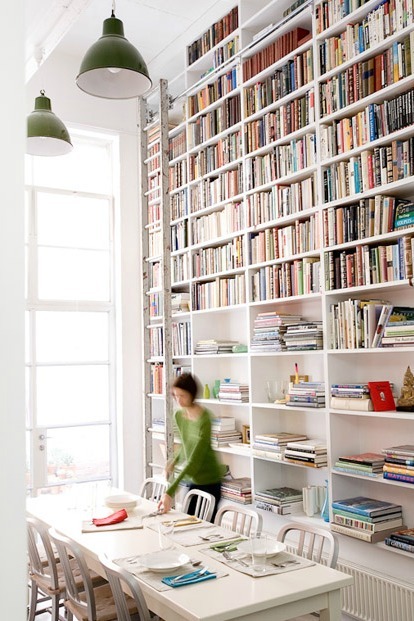 Fabulous wall to ceiling built-in bookshelves. I dream of having a library so big that it requires a ladder to reach the top shelves! 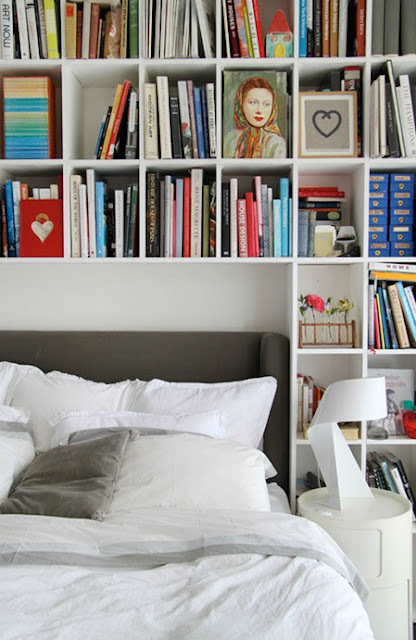 This is the first time I've seen built-in shelves around a bed. Genius! Colour coded books again. My obsession with trestle tables rose to new heights when I saw the stacked magazines between the trestle legs. What a great idea! With wide plank pale wood floors and a Tolix chair thrown in, this could be my dream workspace! 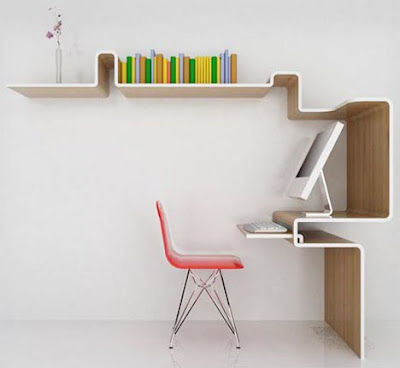 I love how the built-in shelving provides a desk as well as book shelves. Super organised! Ideal for small spaces, this desk and bookshelf in one could easily fit into a living area or bedroom. 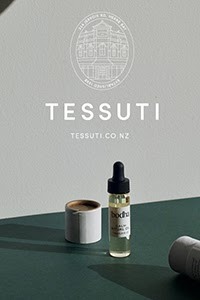 I love it's sleek, minimal design, by Miso Soup. 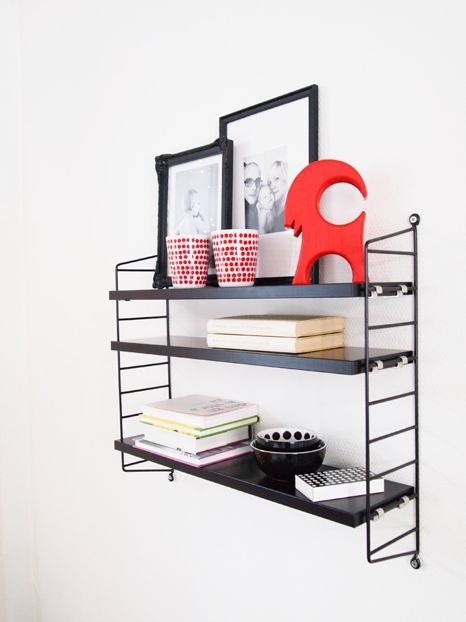 A cute little wall mounted bookshelf, beautifully styled with a mix of books, black and white framed photographs and pops of red. 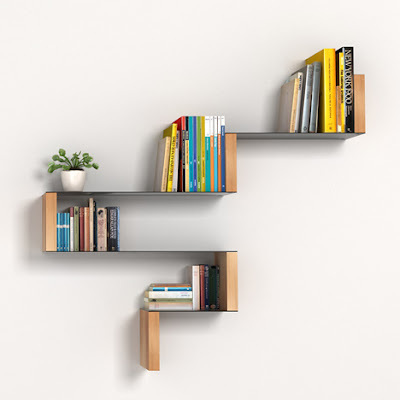 Another innovative design, this bookshelf is one of many from a collection by Barcelona based studio Estudio Carme Pinós. 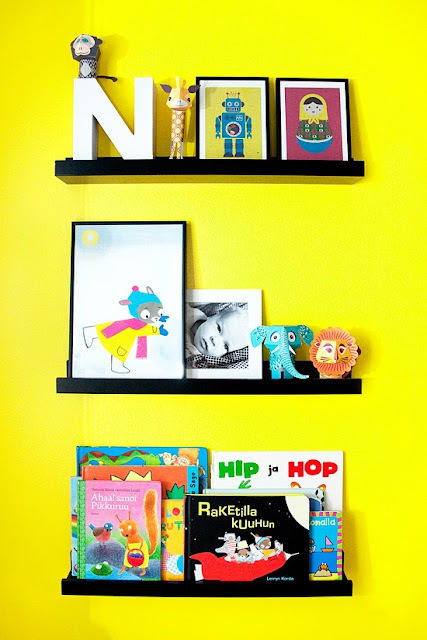 Kids book covers can be outrageously cute, so why not show them off with open shelves like these? 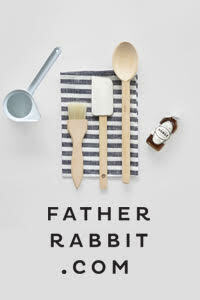 They also provide a great place to display small toys, wooden letters and framed prints or photographs. How cute is this? Made from an old skateboard, learn about this DIY project at Project Little Smith. 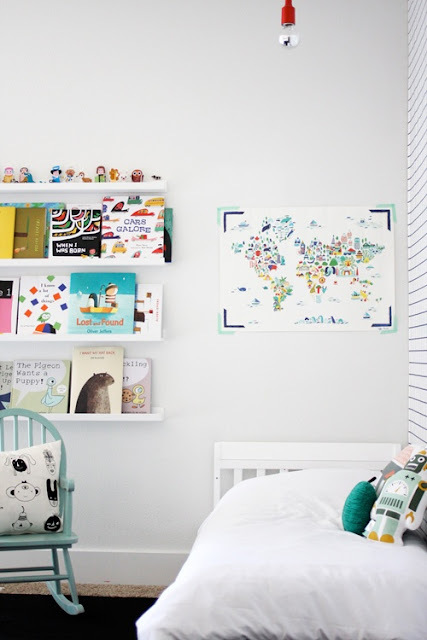 A good DIY project, wallpapering the back of the shelves will liven up a plain bookshelf. There are so many gorgeous graphic prints to choose from right now! Alternatively, you could paint the back in a contrasting colour. Love the yellow! I hope you've seen something here that inspires you. 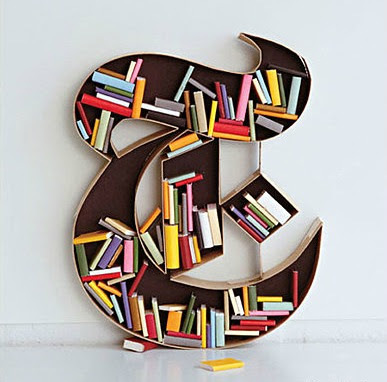 How do you like to display your books at home?